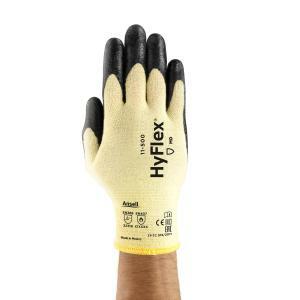 Ansell’s HyFlex® 11-500 industrial glove is well suited for a broad range of assembly applications. It is designed for dry or slightly oily applications where workers need light cut protection, and in some cases, isolation from heat or flying molten metal debris. Offering optimal comfort and a sure grip, the HyFlex® 11-500 glove is the versatile choice for optimal productivity and safety.